You’re new to show business. You’ve never booked a stand before – in fact, you’ve never even looked at an application form for a show and you’ve no idea where to start. You need a bit of help. Do not worry. That’s exactly why we’re here. To lend you a helping hand. Firstly, we’ve written a series of articles which we’ve called The Newbies’ Bible containing answers to lots of questions which people from new businesses tell us that they have when it comes to show business. Download and read it. We hope it helps take some of the worry out of taking that first step in exhibiting at a show. Let us know if it does and if you have questions which we haven’t answered, send them to us and we’ll add the answers (if we have them) to the attached. Secondly, Wool@J13 is giving you a bit of financial help in our ‘Saw Them Here First’ section of our show. 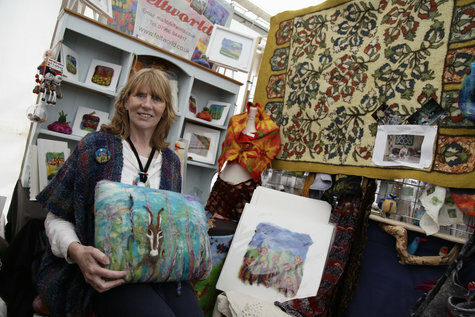 This is a new Exhibitor Zone for local start-up businesses, with half price exhibition space. Every little helps, as they say. 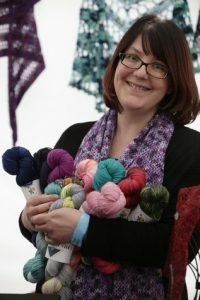 Clare Wilson from The Knackered Psycho exhibited for the very first time with Wool@J13 2017. She had never done a show on her own before. Read her blog to see what she thought of the experience. You must be based within 50 miles of J13 of the M6 and have been operating for under 12 months. 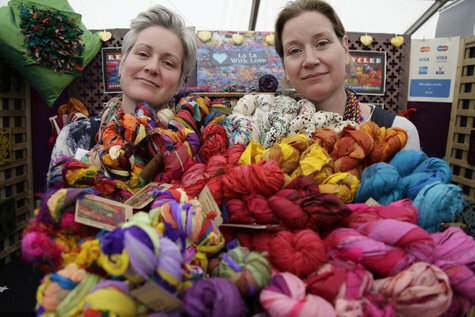 This zone offers you a great platform to promote yourself and gain experience of exhibiting at wool shows. 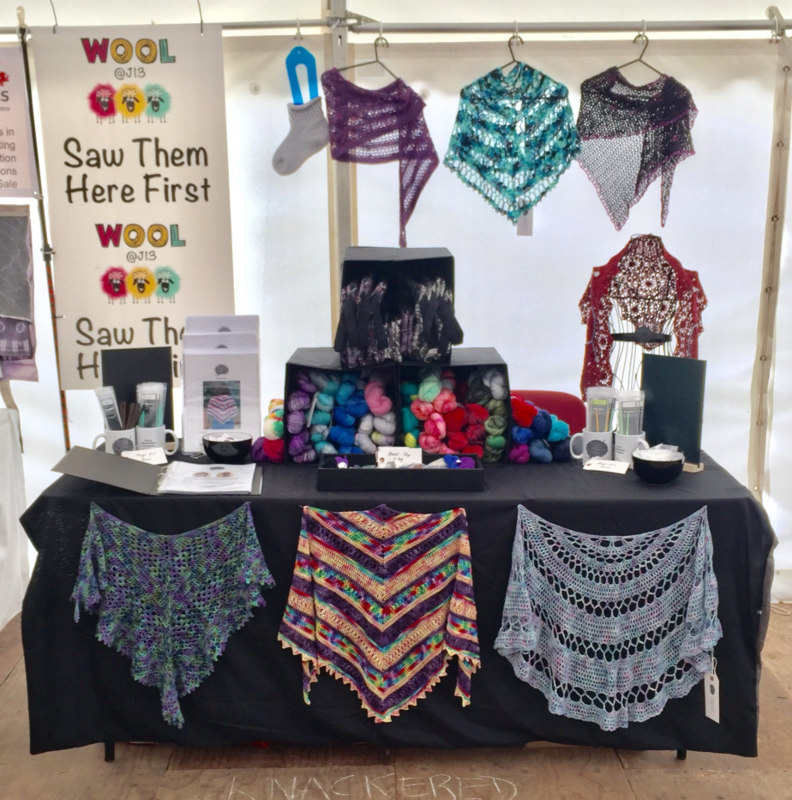 Check out the Exhibitor information page which will tell you why Wool@J13 is such a good bet for exhibitors in terms of how well we look after you all. 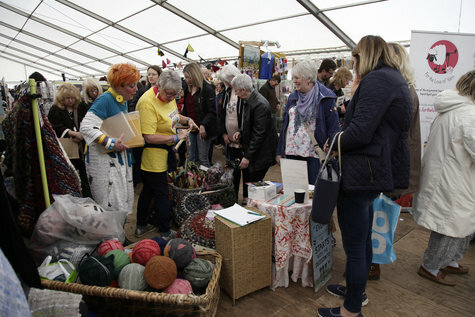 After that, if you would like to join us for Wool@J13 in May 2019, please note that our closing date for applications is 11th January 2019.